We were delighted to receive two brand new dictionaries into our Library. These are particularly useful to some students because of the pictoral aspect of the books. Very big thanks to Rotary International for thinking of us. They are in constant use. 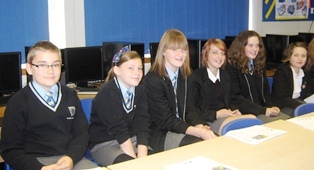 Year 8 and 9 students have recently been taking part in the first Alcester Schools’ Book Award along with St Benedict’s and Alcester Academy. The students are reading a selection of books with the main theme simply being, ‘… the best read’ and then in June they will vote for their top three favourites. The students have already visited Alcester Academy for their first discussions and it will be interesting to know the ultimate winner at the final event, which will be taking place here at Alcester Grammar–Academy. There are already some very varying opinions! The students also will be visiting St Benedict’s soon to see Celia Rees, who is one of the authors up for the Book Award. All the students are very excited about meeting such a highly acclaimed author who wrote Witch Child and the one of the shortlist novels, The Fools Girl, which appropriately for here has a Shakespearean focus! We were delighted to be able to help with the new library facilities being set up for the community in Puerto Princesa Palawan. As a result of a link with Mrs Morgan, a previous Psychology teacher here, we were able to offer a good range of past books to help get them off to a great start! Take a look at the following site and note the looks of delight on the faces of the local children. 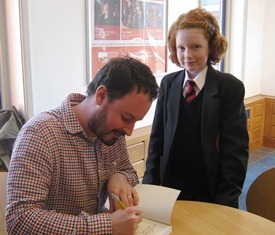 The annual Warwickshire Schools’ Library Award, culminated in March with an exciting Awards Session at the Bridge House Theatre, Warwick School. 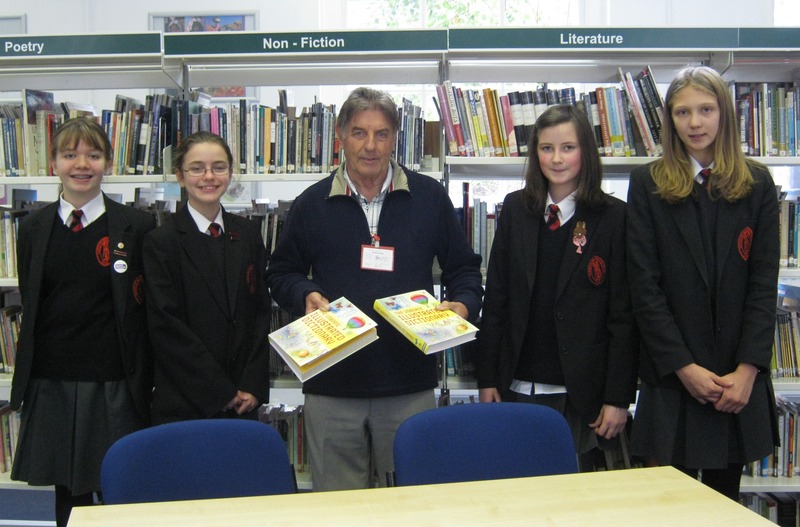 This local Reading Award, organised by the Warwickshire Schools’ Library Service, involved the KS3 students reading a shortlist of 6 books before voting for their favourite choice: a book that “…you can’t put down”. 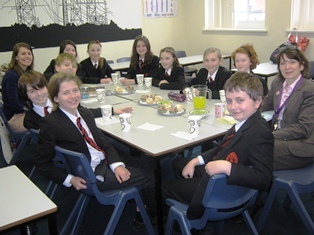 After meeting each week, to help with each student’s choice of the top three, they then met with Alice Wyatt, from the Schools’ Library Service, to discuss the six nominated books and their impressions of the narratives and particular characters. There were some really thoughtful points that came up. 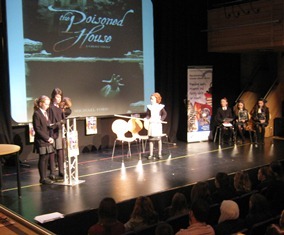 A short time afterwards the students voted for their combined winning choice, which was the sinisterly named “The Poisoned House”, by Michael Ford. At the final Awards Ceremony our team made a short, dramatised presentation of “The Poisoned House” to convey a flavour of the novel. They were delighted to discover that the author chosen to help host the presentation was Michael Ford! The overall winner, for all the schools participating, was “Monster Calls” by Patrick Ness: a superbly written book taken from an outline story by the late Siobhan Dowd.